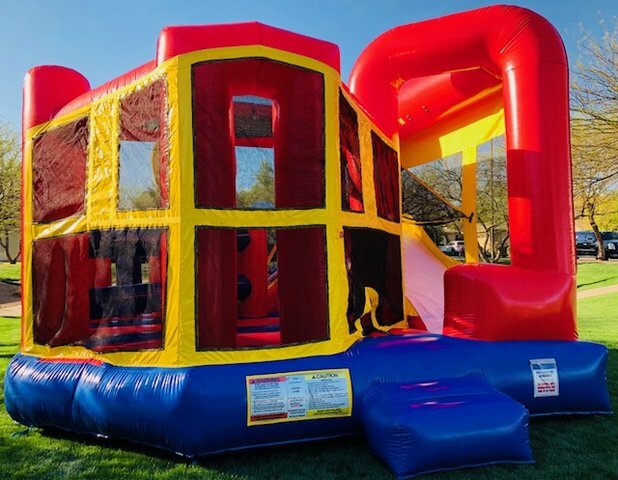 The Modular 5-N-1 combo has it all with a slide, bounce area, basketball hoop, pop-up pillars, obstacles all inside. This unit is perfect anytime of the year because it can be used wet or dry. Guaranteed to provide hours of fun for the kiddos.